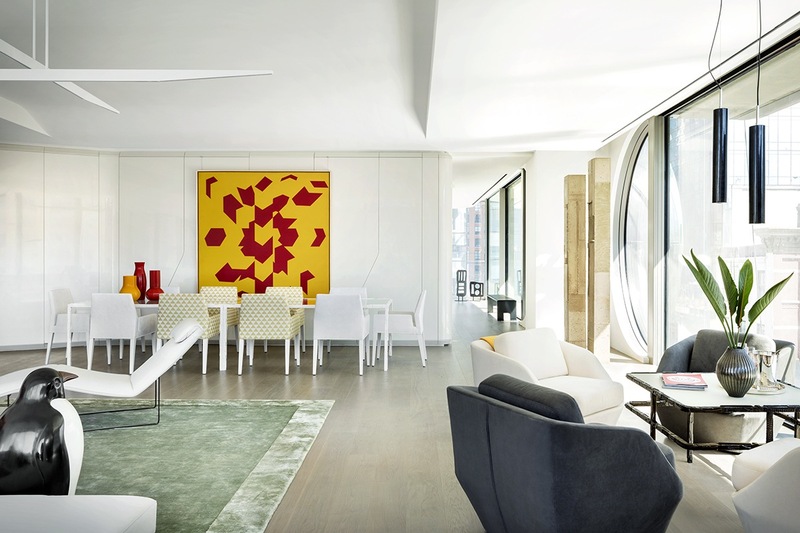 Just a few days after the first anniversary of Zaha Hadid‘s death, developer Related Companies has revealed the first look inside the apartments at 520 West 28th Street–the Pritzker Prize-winning architect’s first (and possibly only) NYC project. 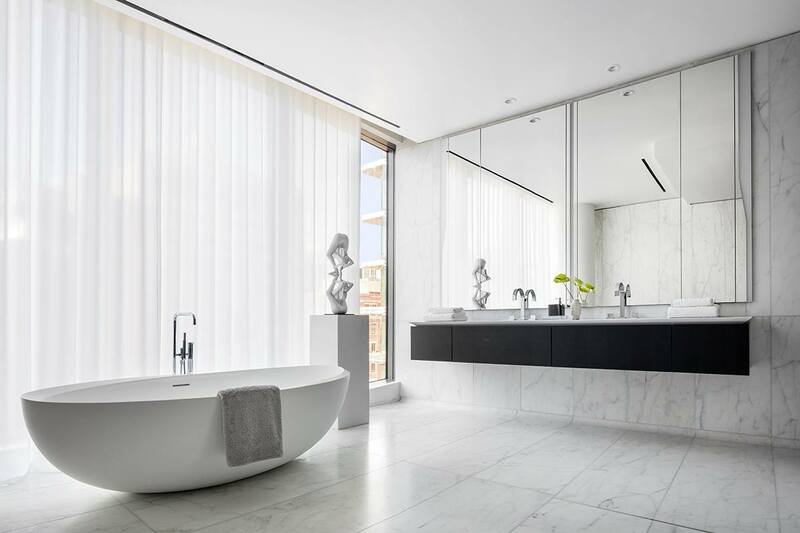 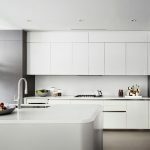 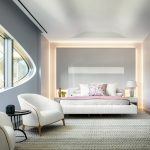 The first is a 4,500-square-foot, $15 million four-bedroom designed by Jennifer Post, combining her signature elegant, minimal aesthetic with Hadid’s futuristic, architectural vision. 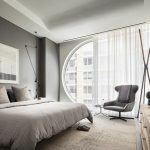 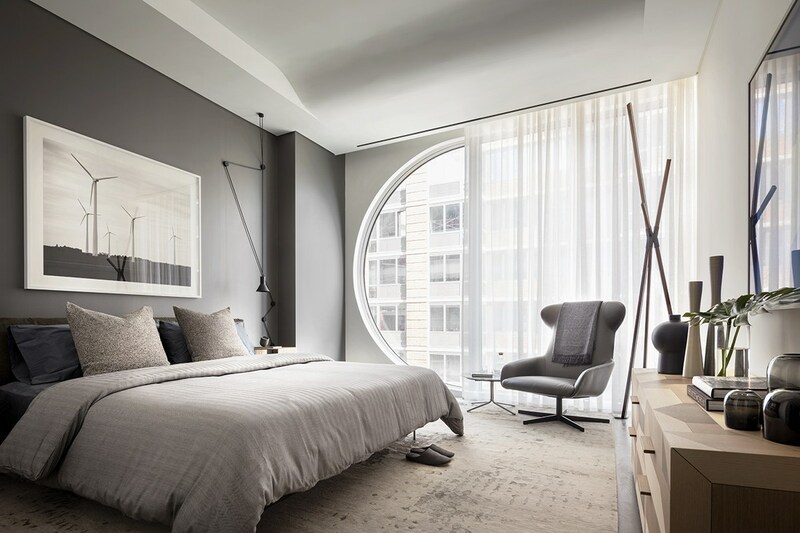 The other is a 1,700-square-foot, $4.9 million unit from West Chin who employs his signature modern style in a way that complements the building’s signature curves and organic indoor and outdoor architecture. 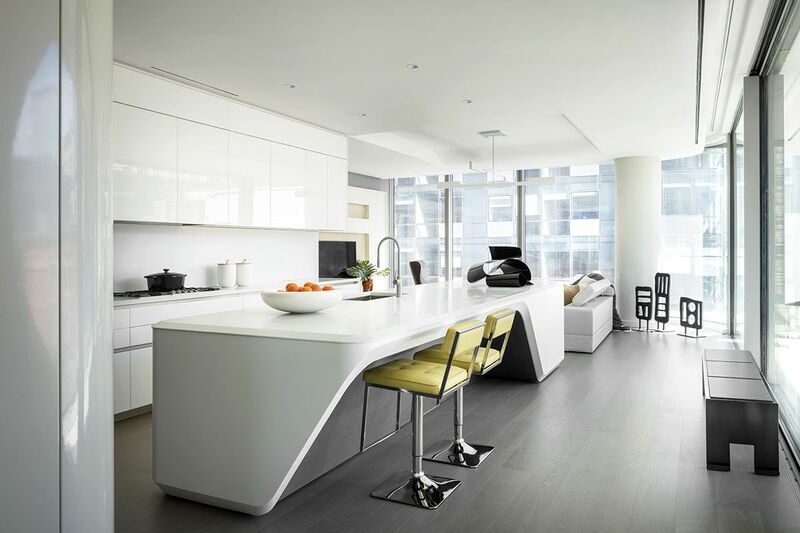 Both spaces will serve as the building’s sales gallery before the anticipated June 2017 move-in. 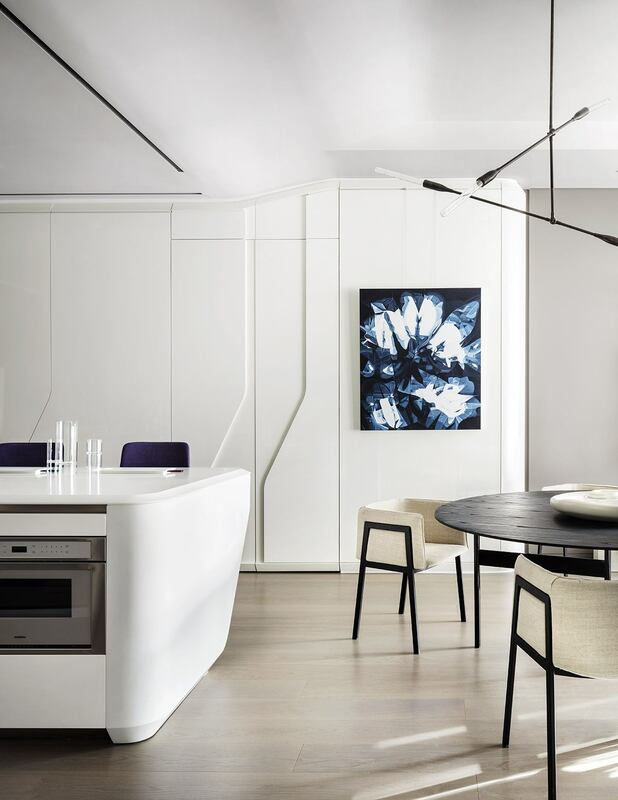 According to a press release, Jennifer Post paired a muted and white palette with pops of rich color from the space’s contemporary art. 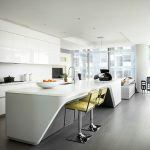 “I am usually the creative visionary behind both the architecture and interior design of a space. 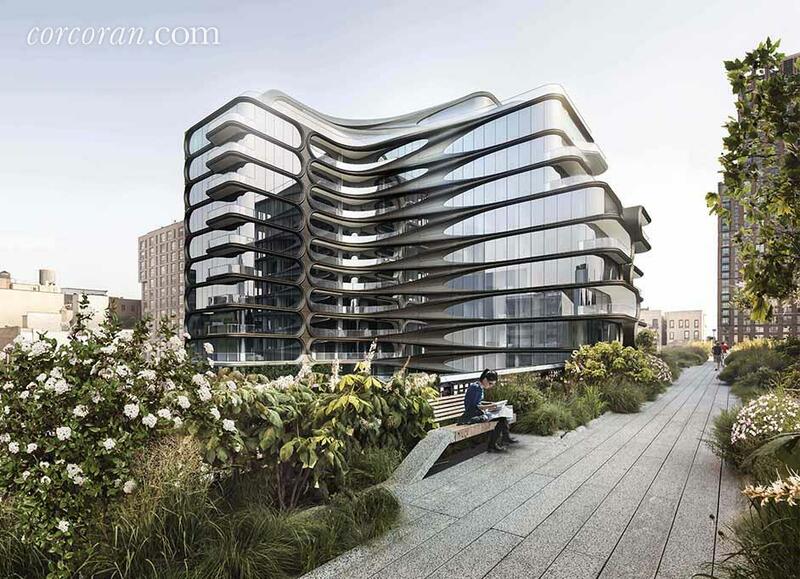 Here, I am respectfully creating a vision that coexists with the vision of one of architecture’s greatest minds. 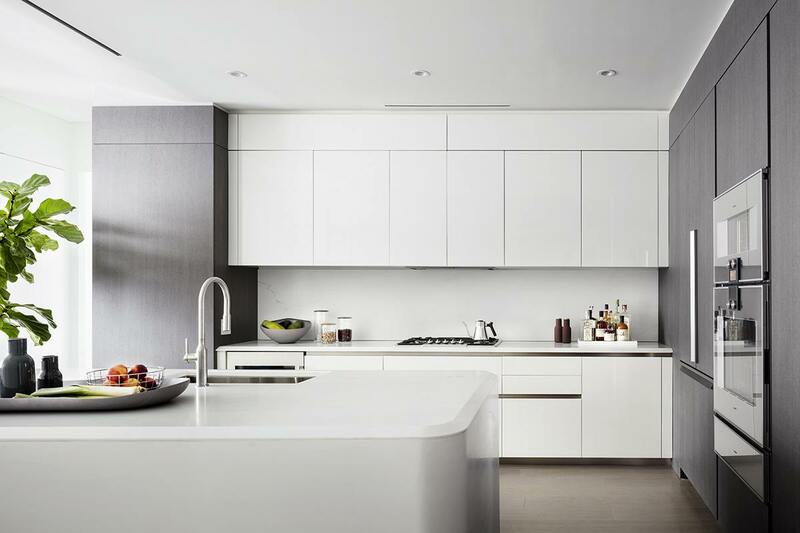 This prompted me to really consider every move, every decision in a different, special way,” she said. 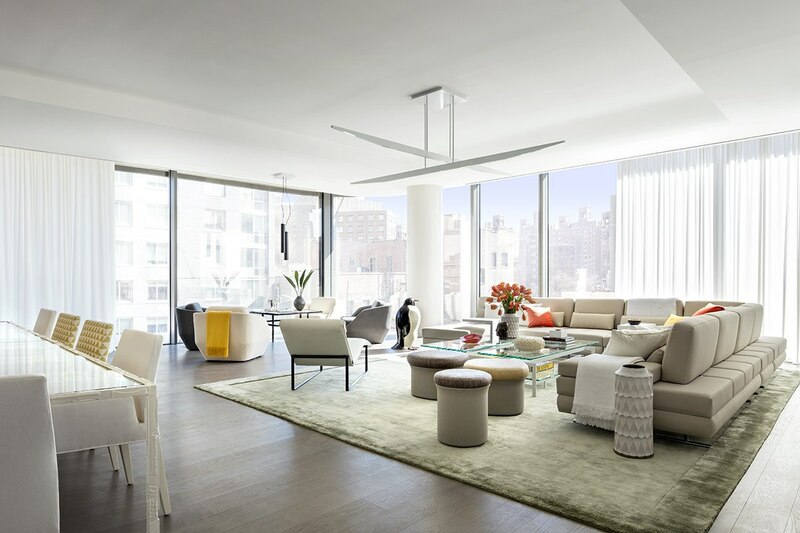 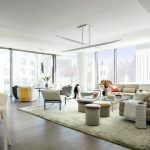 In all, the 11-story condo development along the High Line offers 39 distinctive residences ranging from two- to five-bedrooms and from $4,950,000 to $50 million for the triplex penthouse. 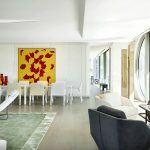 As 6sqft previously described, “Interiors feature wide-plank white oak flooring, automatic sliding glass doors which fluidly connect indoor and outdoor spaces. 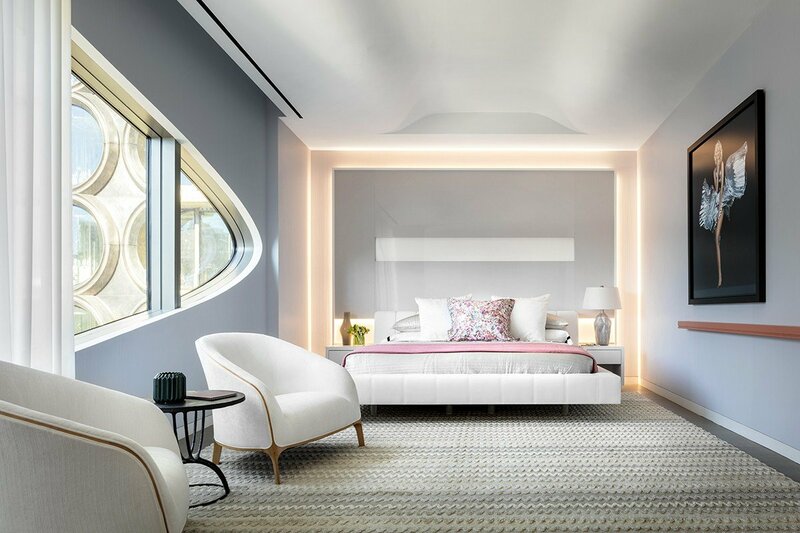 Additionally, each home will be equipped with a distinct Zaha Hadid sculptural element that creates dramatic feature walls while integrating closets and concealed-hinges.” From what we can see, both Post and Chin have respected Hadid’s vision.